- Ready-made design template to choose from. 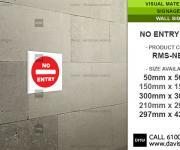 - Sign for building indoor and semi-indoor spaces. - Hassle free for installation or tear down. 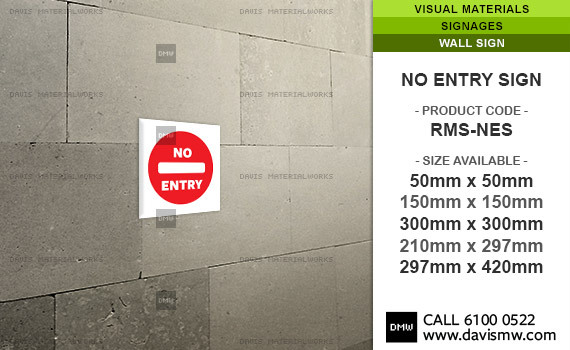 No Entry Sign are suitable for both commercial and residential building. 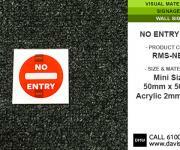 >>> To view our design template catalogue, please call or email us. 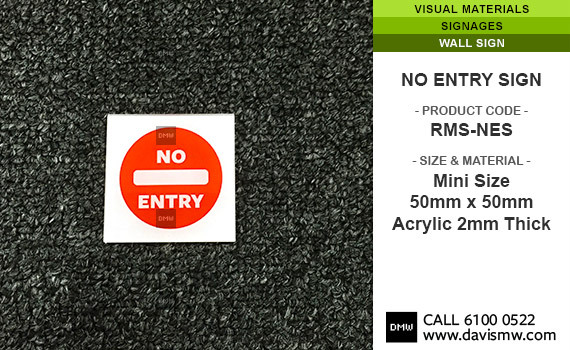 - Price quoted including print and die cut to the size. - Custom size and artwork design subject to charges. Please click "Contact Us", indicate your order with quantity in the message box.